While Senator Ita Enang’s assertion that Northern interests control 83% of Nigeria’s oil blocks may be dated, this assumption is still widely believed in the oil producing communities of the Niger Delta. This is not a totally unfounded speculation; between 1991-1998 several very lucrative oil blocks and ‘crude oil lifting allocations’ were awarded by the then ruling military regimes based entirely on the prerogative of the military rulers. Predominantly, these oil blocks and ‘oil lifting allocations’ went to military generals, their cronies, fronts, powerful oligarchs within the Nigerian power block and very close associates. While owners of oil blocks and allocations included individuals from across the country, there was an unarguable common denominator; if the blocks or allocations where not owned by generals or northern oligarchs, then the Southern owners or fronts had a very strong and recognizable relationship with the ruling generals. The first comprehensive effort at promoting indigenous ownership of “Oil Exploration and Production” licenses was in 1990. Let it be noted that prior to 1990, this vision had not been implemented, hence no administration from Buhari, Shagari, Obasanjo (as military head of state), Gowon and down to the first republic awarded concessionary oil blocks solely to Nigerian citizens. CONSOLIDATED OIL, now Conoil, awarded OPL-458, now OML-136 and OPL 113 now OML 103. (Refer: Conoil website). Of particular interest is OPL 113, which was awarded in 1990, from OPL 113 the Bella Field discovery was made in 1991 and the prospecting license was converted to a mining license ready for development in 1993. By industry standards, this is remarkable, if not implausible under normal E&P timelines. However, very noteworthy is that consolidated oil was awarded the cream of the pack of the oil blocks and has since gone on to become one of Nigeria’s most successful indigenous oil and gas companies. Let it also be noted that these leases were previously declared “marginal fields” by the initial owners. The multinationals, so to a reasonable extent, had adequate geological and engineering information that existed of their viability before being awarded. Amongst all the blocks awarded to Nigerian citizens, strong speculations persistently tie General Ibrahim Babangida to Conoil. At this stage, this information can be disregarded for lack of adequate evidence, but we shall get close before the end of this article by applying logical deductive reasoning and analogous permutation from information supplied by Toyin Akinosho himself in the article: The North does not control Nigeria’s Oil Blocks, which triggered my rejoinder. FAMFA OIL LIMITED: The Company, Famfa Limited was incorporated in September 1991. Famfa was awarded the leasehold rights to OPL 216 on August 10, 1993. (Ref: Famfa oil Limited website; homepage). While the strong ties/relationship between Folorunsho Alakija and Late Mariam Babangida is well known, what is intriguing is that OPL 216 was awarded to Mrs Alakija on August 10, 1993. Moni Pulo Limited (MPL): Was incorporated in 1992 and awarded OPL-230 now OML-114 in May 1992. Moni-Pulo unlike Conoil and Famfa, MPL was awarded a frontier exploration lease 30KM South of the city of Calabar (none prolific hydrocarbon area of the Niger Delta Basin). The company went through the nine yards of exploration-appraisal-field development, and hit first oil in the Abana Field in March 1999 (ref Moni Pulo Ltd website); a reasonable cycle for exploration leading up to development. While MPL continues to be a very successful company, and one of the few indigenous companies that operate its OML as a sole risk, speculations do not tie this company to IBB, though he awarded the block. The point with MPL above is to establish the difference in rank between the sets of blocks generally awarded by IBB, the proven marginal fields and the frontier/ green exploration fields. Among the 91-93 class, it is the later set of fields that was sprinkled amongst none insiders in an attempted federal character balancing act. I can recollect only MPL as having been successful with its OPL amongst those in that category. However I must state that it would be a disservice to condemn the IBB vision of indigenous oil exploration and production capacity development, though the process was abused. Nigerian indigenous oil and gas E & P capacity has massively benefited from the foundations laid thereof. In Toyin’s article, he tried to downplay the role of Rilwanu Lukman in the formation and ownership structure of Afren. Let me state again that in my opinion, companies like Afren are blazing examples of Nigerian owned-interests which Nigerians should be very proud of. “Afren plc (“Afren” or “the Company”) announces the appointment of Dr Rilwanu Lukman as non-Executive Chairman. The Board of Afren Plc is delighted to announce the appointment of Dr Rilwanu Lukman as Non-Executive Chairman with immediate effect. Dr Lukman was a founding director and shareholder in Afren and has been involved since the Group’s inception in 2004, to establish Afren as a leading pan-African oil and gas independent Exploration and Production Company”. The original PDF documents from Afren can be obtained by searching for Rilwanu Lukeman + Afren on google. Let us not be mistaken here, Afren is a very well structured company, with a global operational framework. There are actually several other Nigerian companies, which where founded and built on similar solid structures from abroad and listed in stock exchanges mainly in New York and London, which operate in Nigeria today. These companies acquired their prospect/mining leases through hard work and good business management. Allied Energy/CAMAC Energy and Petrodel are worth mentioning here. “If I really want to be mischievous, I’d focus on the recent deal in which Shell and Agip have had to pay in excess of one billion dollars to Dan Etete, a south-south man, for stakes in Oil Prospecting Lease OPL 245. And I would ask “Is that necessarily right”? 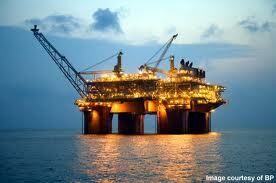 Should the president, a south-south Ijaw man, have waded in to ask Shell and Agip to move the deal forward? But that’s a story for another day”. Considering that the author is an industry insider and very knowledgeable on the issues in question, I am sure he knows that a president of Nigeria, even a South-South Ijaw man totally lacks the capacity to ask Shell and Agip to influence them parting with a $1Billion +, especially not in the 21st century. The author starts out to castigate uninformed and not well-researched positions, and goes ahead to make one even far wider off the mark from reality. If Shell and Agip part with $1B +, it is because they deem it viable after all due considerations in which the global head office would have given an all clear. Things actually work excellently in terms of structure and checks and balances in the Super-Major oil and gas companies, and I believe the author of the article in question knows this. Even more curious is the fact that the long winding litigation and arbitration between Malabu Oil and Gas, the Federal Government, Shell and Agip is very well known within the industry and prominent in the public domain. Local and international reports, out of court settlements, injunctions, court judgments in Nigeria, New York, London etc that had subsisted for about a decade running up to 2011 are all accessible public records in the numerous litigation on OPL 245 in the USA, UK and Nigeria. It even gets more intriguing if we substitute the relevant name omitted by Toyin in the paragraph quoted above, that is the company involved: Malabu Oil and Gas Limited. From Toyin’s comment we can deduce that he is implying that Malabu Oil and Gas is owned by Dan Etete, quite rightly that is what appears in easily accessible public records. OPL 245 was awarded to Malabu Oil and Gas in 1998 by General Sani Abacha. Unlike General Ibahim Babangida, Abacha never cared to be stealth, publicly available records, especially those that surfaced in various litigations across the USA, UK and Nigeria show that Malabu Oil and Gas was structured in 1998 while Sani Abacha was still in power and an absolute dictator with 50% of the company shares owned by Muhammad Abacha, a prominent Northerner whom is Abacha’s close associate had 20% and Dan Etete with 30%. Let us remember that when this company was formed, Abacha was in power and planned to remain in power, so does Dan Etete with 30% in real terms pass for the owner of Malabu Oil and Gas? Or was he a controllable front? The answer to this question may help in answering the questions raised in the early parts of this article.